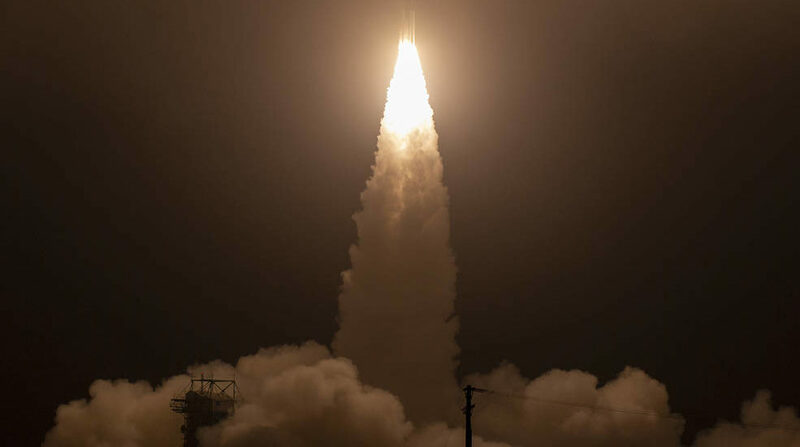 NASA has successfully launched the Ice, Cloud and land Elevation Satellite-2 (ICESat-2) from the Vandenberg Air Force Base in California, embarking on its mission to measure the polar ice of the Greenland and Antarctic ice sheets with unprecedented accuracy. ICESat-2 lifted off from Space Launch Complex-2 at Vandenberg Air Force Base on United Launch Alliance’s final Delta II rocket. Ground stations in Svalbard, Norway, acquired signals from the spacecraft about 75 minutes after launch. The satellite is performing as expected and orbiting the globe, from pole to pole, at 17,069 mph from an average altitude of 290 miles. ICESat-2 carries a single instrument, the Advanced Topographic Laser Altimeter System (ATLAS). ATLAS will be activated approximately two weeks after the mission operations team completes initial testing of the spacecraft. Then ICESat-2 will begin work on its science objective, gathering enough data to estimate the annual height change of the Greenland and Antarctic ice sheets to within four millimeters – the width of a pencil. The high-resolution data will document changes in the Earth’s polar ice caps, improve forecasts of sea level rise bolstered by ice sheet melt in Greenland and Antarctica, and help scientists understand the mechanisms that are decreasing floating ice and assess how that sea ice loss affects the ocean and atmosphere. ICESat-2 continues the record of ice height measurements started by NASA’s original ICESat mission, which operated from 2003 to 2009, that were continued by the agency’s annual Operation IceBridge airborne flights over the Arctic and Antarctic, which began in 2009. Data from ICESat-2 will be available to the public through the National Snow and Ice Data Center.